At Southern Dry Carpet Cleaning, we take pride in our reputation, experience, education, systems, and guarantee. We are certified by STRONG Dry Carpet Cleaning System, which is the country’s elite body of certification for dry organic carpet cleaning. In addition, we are fully insured. Proudly Serving Charlotte, Rock Hill, Fort Mill and Tega Cay. You can depend on Southern Dry Carpet Cleaning for exceptional dry carpet cleaning, oriental and area rug cleaning, fiber and fabric protection, and pet stain and odor treatment. We can remove most spots or stains. Armed with an arsenal of the industry’s finest and safest stain-removal products and tools specifically designed for carpets, we can remove, or minimize all types of spots and stains on your carpet. It was an accident… I promise. 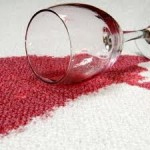 When accidents happen, call Southern Dry Carpet Cleaning. We’ll eliminate the stain as well as the odor. A much better solution than eliminating the pet! We’re here to help you eliminate any pet odor and stain problems.